Former Prime Minister Ehud Olmert decried Israel's "substandard" level of politics and said that he hoped Attorney General Avichai Mandelblit would announce his decision whether to indict the Netanyahu before the April elections. "I very much want Netanyahu not to be in office, and very much believe that he will not be in his post after the elections, but I want him given to those who have to decide to decide quickly. I remember cases when they decided too quickly," Olmert said during a radio interview on Thursday. Olmert was likely referring to the decision by former Attorney General Moshe Lador to indict him in 2007, forcing him to resign from office. Police have recommended that the prime minister stand trial in various corruption investigations titled 'Case 1000', 'Case 2000', and 'Case 4000'. Netanyahu can only stand trial, however, if Attorney General Avichai Mandelblit decides to issue an indictment following a prior hearing. 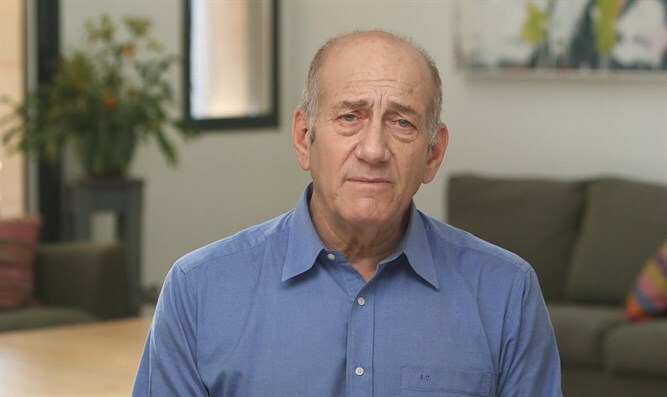 Olmert also called the Likud's attacks on former IDF Chief of Staff Benny Gantz "despicable" and said that he hoped that "the election campaign will be accompanied by a minimum of respect for the candidates." "I do not recommend this or that candidate, but the leadership of the country should have the courage to make decisions that are important," Olmert added. "It is time to take one big step forward and make a breakthrough that will affect our way of life." Olmert first became prime minister in 2006 after Ariel Sharon suffered a debilitating stroke and stayed in the post until he was felled by graft allegations in 2009. In March 2014, he was convicted of bribery and began serving a 19-month sentence in Maasiyahu Prison before being granted an early release in 2017 for health reasons.